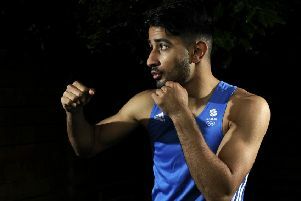 Unbeaten Central Area champion boxer Zahid Hussain says he will fight in a Commonwealth title eliminator early next year, writes JACOB KILBRIDE. Moortown’s Hussain, who boasts a record of 14 wins from as many fights, faces Sheffield’s Razaq Najib – who has won nine of 11 fights – at the Magna Centre in Rotherham on Saturday, March 30. Hussain claimed the Central Area featherweight belt with a points win over George Brennan in September and he is eager to earn a shot at another major title with victory over Najib at super bantamweight. 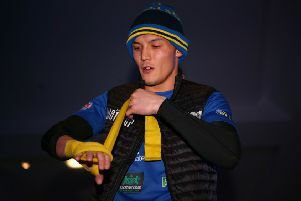 “It’s an eliminator, so it’s a chance to fight for a major title if I win, so I’m looking forward to it,” Hussain told the YEP. “After my win in September, I wanted a step-up fight and that’s what we’ve got. Hussain is no stranger to fighting on the road, having done so in his last fight against Brennan, and he’s not fazed about fighting in Najib’s home patch of South Yorkshire. “When I fought Brennan, I went away from home fighting in Bolton,” he added. “It was a little bit of a change to be the first to ring walk. “I thought I boxed really calmly. Obviously, you’re always going to have some nerves when it’s your first title fight but I thought that I dealt with them. It went pretty much to plan. I boxed very slick all the way through the 10 rounds.